Added option to disable the pre-population of billing and shipping country at checkout. This will help preventing conflicts with 3rd party plugins that might try to perform the same operation. Fixed bug that prevented the purchase of grouped products in some circumstances. Added logic to set the active country when the billing or shipping country is changed in the My Account page. Tweak – Added filter to allow changing the selected country dynamically. Tweak – Improved support for native product export feature, to ensure the exporting of the prices by country associated to products. Note: this feature requires WooCommerce 3.2.2 or newer. 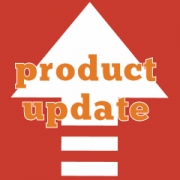 Improved compatibility with WooCommerce 3.3. Removed notice messages that appeared when a Grouped Product contained variable products. Discontinued Yahoo! Finance provider. Yahoo! Finance is no longer operational and stopped providing exchange rates. The Currency Switcher can handle this error transparently, and it now informs the merchants that they should use another provider. Added support for OFX exchange rates service (Beta). Added new filter wc_aelia_cs_exchange_rates_models. This new filter will be used to rewrite the logic that handles the list of exchange rates provider and simplify the merging of the lists used by the Currency Switcher and the EU VAT Assistant. Feature – Added shortcode aelia_cs_product_price. Feature – Added shortcode aelia_cs_currency_amount. Added compatibility with new version of the Aelia Foundation Classes framework.